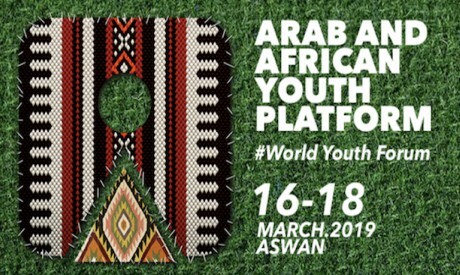 Aswan, named the Capital for African Youth by President Abdel-Fattah Al-Sisi during November’s second edition of the World Youth Forum, plays host to the Arab African Youth Platform between 16 and 18 March. The platform will discuss the future of scientific research and healthcare and the impact of advanced technology and innovation on Africa and the Arab region. Participants will exchange views and recommend initiatives to face the most important regional and international challenges facing their societies. Africa has the world’s youngest population and it is growing rapidly, according to the United Nations’ Commission of Africa (UNCOA). A 2017 study, “Africa’s Youth and Prospects for Inclusive Development”, showed that young people aged between 15 and 24 years of age constitute 19.4 per cent of the total population, and those under 15 years of age 41 per cent. “It is clear then that by sheer numbers alone, the choices, opportunities and constraints of young people will play a major role in shaping Africa’s development,” said the study. Youth also constitute 32 per cent of the population in 22 Arab countries according to a 2010 survey. And young people in Africa and the Arab world face similar challenges. The UNCOA study showed that while youth literacy rates averaged 70 per cent across the continent there are wide disparities. Algeria, Botswana, Cabo Verde, Egypt, Swaziland, Tunisia and Uganda boasted youth literacy rates of at least 85 per cent. Burkina Faso, the Central African Republic, Côte d’Ivoire, Guinea, Liberia, Mali and the Niger all have rates of less than 50 per cent. Young Africans continue to be marginalised in formal governance and the political system as voters, candidates and members of local and national governments. They are often disenfranchised politically through age-based limits on political participation. A study by the American University in Cairo, “Arab Youth: The Challenges of Education, Employment and Civic Participation”, noted that Arab youth today are more likely to attend universities and other tertiary education institutions than their parents. However, there are concerns about education quality, fed by Arab students’ results in international aptitude tests. Despite increased access to education, the Arab region has one of the highest rates of youth unemployment in the world. With very few exceptions youth unemployment in Arab countries is much higher than global youth unemployment rates. “The economic difficulty facing young Arabs in their transition to adulthood is further exacerbated by the blocking of channels of civic engagement and their exclusion from the decision-making process. While social media has been celebrated as part of the Arab Spring, access to this tool is limited to the urban and educated,” said the study. Platform sessions will feature open discussions on how to maximise the possibilities of the Nile Valley becoming a pathway for Arab-African integration and a workshop on developing coastal regions is planned. The platform will also hold two workshops for entrepreneurs, “How to be a Successful Entrepreneur” and “Social Entrepreneurship from an African Perspective”. Cultural activities are also planned, including tours of Aswan. Alieddin Hilal a former minister of youth and professor of political science at Cairo University, says Arab and African youths share a similar background and face many of the same conditions, making cooperation between them important for the development of their countries. “Youth in both regions have shown they are capable of developing a promising vision of integration,” he said. Hilal believes the forum offers a “great opportunity for different youths from different cultures to mingle together and exchange experience and knowledge”.